THE MUTTZ - "Where The Wild Things Grow" (JCP Records). 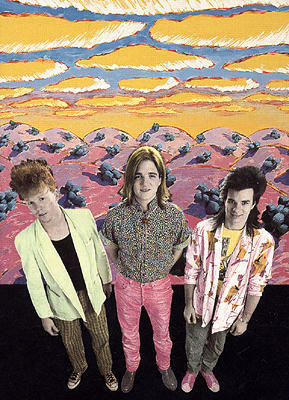 This second album from the Taos-bred, Albuquerque-based trio is a winner in every respect. 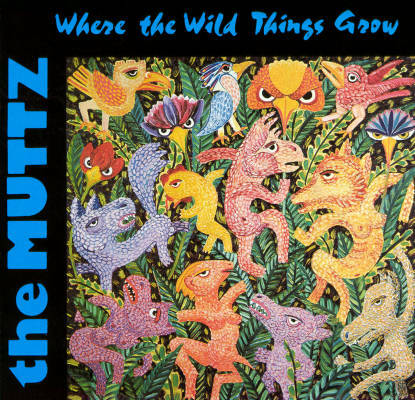 "Where The Wild Things Grow" highlights the Muttz' wide-ranging musical styles, which contain heavy doses of reggae-influenced rock a la The Police, and a good smattering of psychedelic rock that conjures up visions of Cream. There is a high level of musical craftsmanship here. Chris Dracup delivers crisp, clean, and often lightning-fast guitar work. An outstanding rhythmic backbone is provided by Gail Boles on bass and Hunter Berner on drums. To top it off, these guys can carry a tune, surrounding it in layered melodies and harmonies that give the music a larger and richer sound than would be expected from this three-piece instrumentation. The lyrics to the 11 songs on the album are intelligent and represent only a portion of the band's list of 60 original compositions. The songs tell a story, relate a sentiment, or deliver a message. For example, "Wrong Train", the lead cut, is an angst-filled adventure for someone who realizes too late that he missed a sign and now "rides on the wrong train in the middle of the night." This, of course, is an apt metaphor for the way many people live their lives. The title cut, "Where The Wild Things Grow"' is laced with psychedelic guitar and jungle sounds that carry the listener through "the shadowland where the wild things grow, it's a savage land deep beneath my soul." "Western Man" is a humorous look at the macho cowboy type; "What Is Love Here For?" takes a stand against war and hypocrisy; "Walkin' a Straight Line" concerns the aimless wanderings of someone in search of affection; and "Lonely One" is a pep talk for some unfortunate soul who has insulated himself in a cold and friendless private world. Like its first album, this effort was released on the JCP Records label, and it was engineered by engineer/producer John Cline in his Audio Imaging studio in Albuquerque. The quality of the recording is excellent and the packaging is handsome. 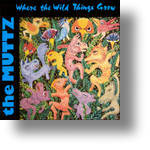 Click the Muttz CD cover on the left to listen to "Western Man"
from the album, "Where the Wild Things Grow"
The 1988 Muttz music video "Take All My Love"
The Muttz March 31, 1991 appearance on "StarSearch."